Your outdoor space should be an extension of your indoors and should not just extend to tree, shrubs, and pretty flowers. It should include functional patios, practical walls, luxurious kitchens, and other amenities! We can install any type of hardscape, from pavers to natural stone we can handle it all. From years of experience installing all types of materials in many different applications we are confident in our craft. There is no hardscape project big or small we can not showcase our talent. 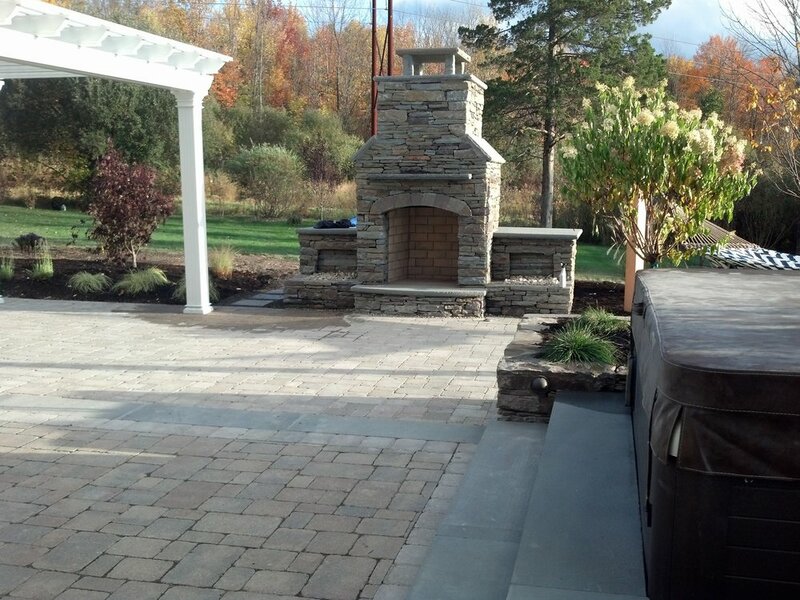 We specialize in outdoor kitchens, fireplaces, fire pits, pergolas, and many more outdoor amenities. Whether constructed out of natural stone or pavers we can guarantee our quality.